NTPC, India's largest electricity generator aims to become the biggest renewable energy company in the next 10 years. 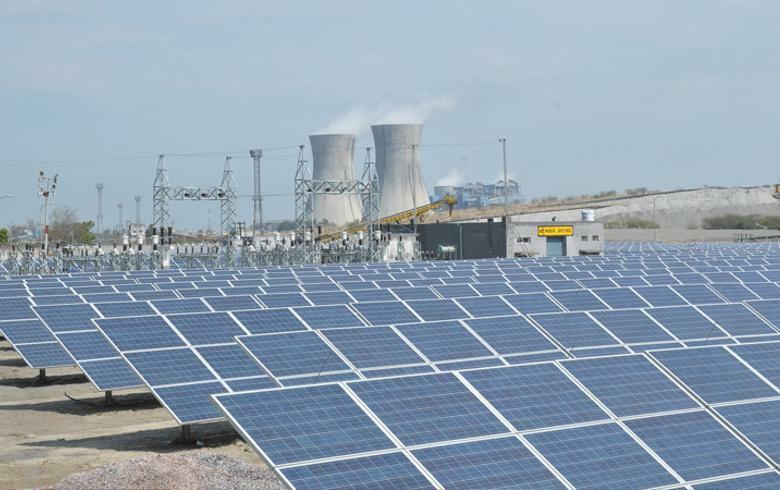 It has targeted generation capacity of 128,000 MW by 2030 from the present level of over 47,228 MW that includes 800 MW of hydro and 360 MW of solar generation capacity. The company is quickly moving towards its ambition of achieving a solar portfolio of 10 GW out of the 100 GW target of the government by 2022. Over 1,700 MW renewable energy projects of the company are under execution. NTPC plans for capital expenditure of Rs 5 lakh crore towards adding renewable energy capacity instead of setting up more conventional power units such as thermal power plants. NTPC's decision to reduce the share of thermal power and increase renewable energy generation is to align itself with global trends of reducing greenhouse gas emissions and developing clean sources of energy. To further boost the renewable energy capacity, NTPC will set up solar projects totaling 50 MW with battery storage system at different locations in Port Blair in Andaman & Nicobar, says NTPC press release.